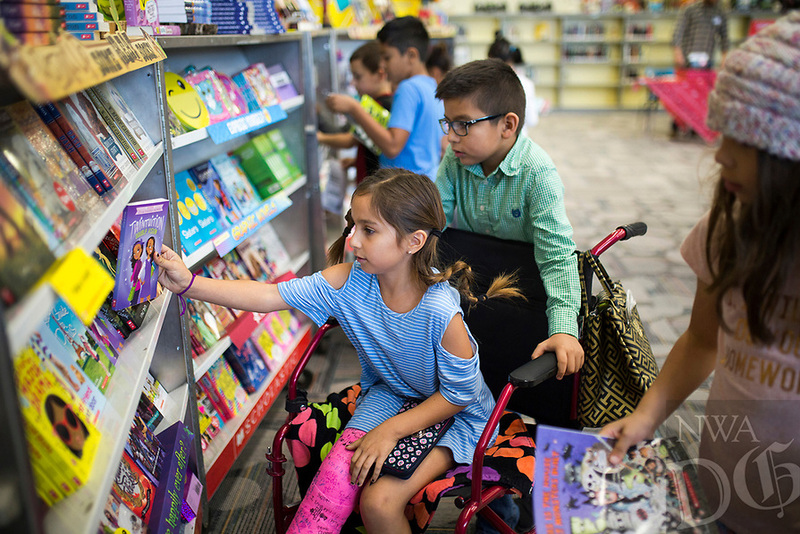 NWA Democrat-Gazette/CHARLIE KAIJO Camila Gonzalez, 8 and Aiden Rodriguez, 8 pick out books on Monday, October 23, 2017 at the Scholastic Book Fair at the Osage Creek Elementary and Creekside Middle School library in Bentonville. The fair continues until Friday, and proceeds go to benefit the schools' library. The library is also collecting donations to buy books for the Benton County Sunshine Schoolâ€™s library.